Research current performances: Understand where on your website users are clicking (or not clicking). Usability: Find out what users are thinking as they interact with your website. Test out new options: Now that you know what is NOT working, run tests using new options. Roll out changes, rinse and repeat: Landing page optimization is a never ending process! Repeat all of the above steps. All marketers should use their analytics to find their most searched pages and then compare the amount of conversions that occur on that page. 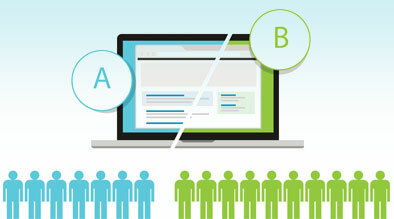 Many marketers may find that their top visited pages to do not have a high conversion rate. So add a conversion factor! Add a newsletter sign up field, etc. Conclusion: Landing page optimization is a process that takes time but must never be over looked. As Tim Ash said, it takes an alarmingly fast 50 milliseconds for users to form a first impression of a landing page. In order to ensure your users decide to stay on your website after those 50 milliseconds, we must always be testing, optimizing and refining our landing pages.